Written primarily by individuals with hands-on hospice experience, this crucial volume identifies sources of stress among hospice workers and provides workers and managers with strategies to cope with those stressors. 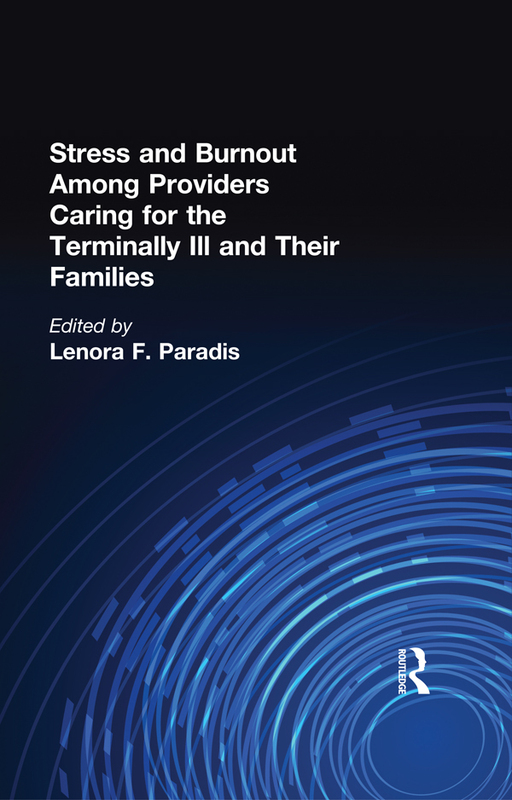 It is an enlightening examination of diverse theoretical perspectives and a much needed investigation on stress and burnout for hospice providers and caregivers. Readers will find concrete suggestions for the alleviation of stress and burnout in their work with the terminally ill, as well as theoretical and research discussions. The authors explore a wide range of subjects and problems faced by nurses, physicians, social workers, caregivers, hospice directors, and volunteers. They also discuss the many factors in hospice care that may foster unfavorable stress reactions and eventual burnout among hospice professionals. Current literature on job stress and burnout among those who care for the terminally ill is examined and a model of stress and burnout specific to hospice caregivers is presented. The authoritative chapters also identify theories of stress and burnout and the distinction between the two. Anyone who deals with chronic and terminal illness should read Stress and Burnout Among Providers Caring for the Terminally Ill and Their Families. Hospice caregivers and volunteers, social works, clergy, and health care professionals who work with cancer, renal dialysis, and heart and stroke patients will appreciate the attention given to a subject that has received little study.